White beaches, turquoise sea, countless palm trees, cigars, rum and music! Who doesn’t dream of visiting Cuba some day? 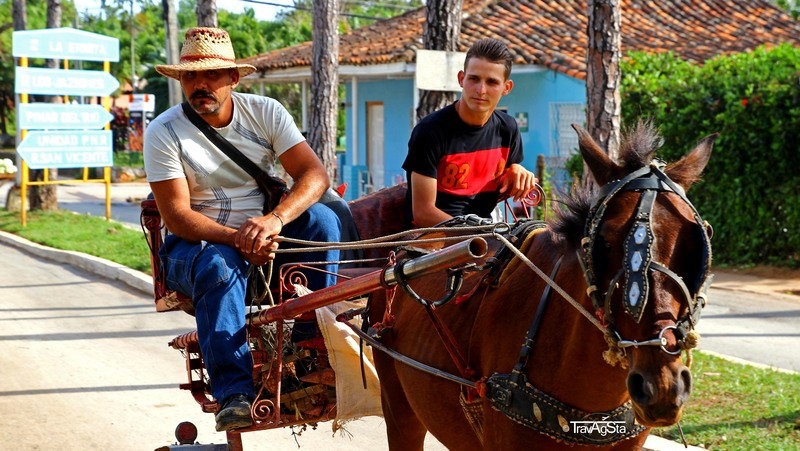 Discovering the wonderful island of Cuba by old-timers is actually the best way to do it and an amazing travel experience. There’s no better way to get to know Cuban people and their culture and at the same time see as much as possible of this beautiful country. 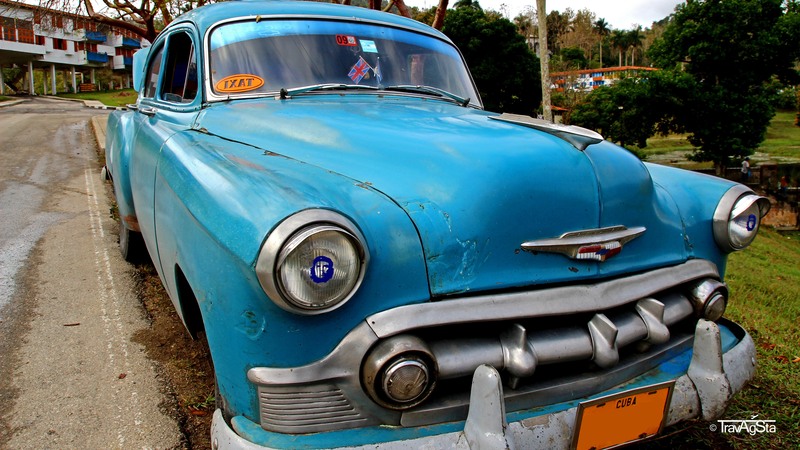 Vintage cars are omnipresent in Cuba, but, of course, not all are preserved in the same condition. On the other side (especially in rural areas), you can find even older vehicles. 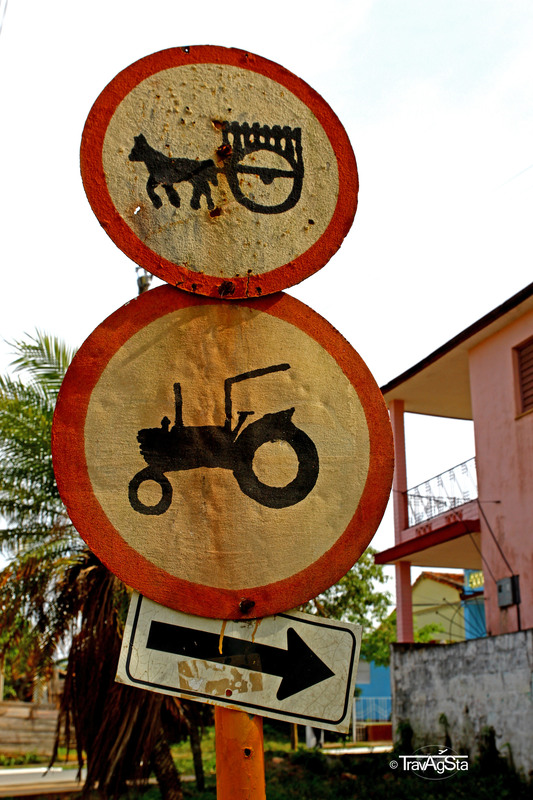 We booked a trip from Viñales in the west to Trinidad in Central Cuba. We made this trip by private taxi (vintage car) rather than by bus. This was the best decision ever as it wasn’t even much more expensive than taking the bus. Our car was a more than 50 years old Chevrolet, which you rarely see anymore in Europe or even in the US. 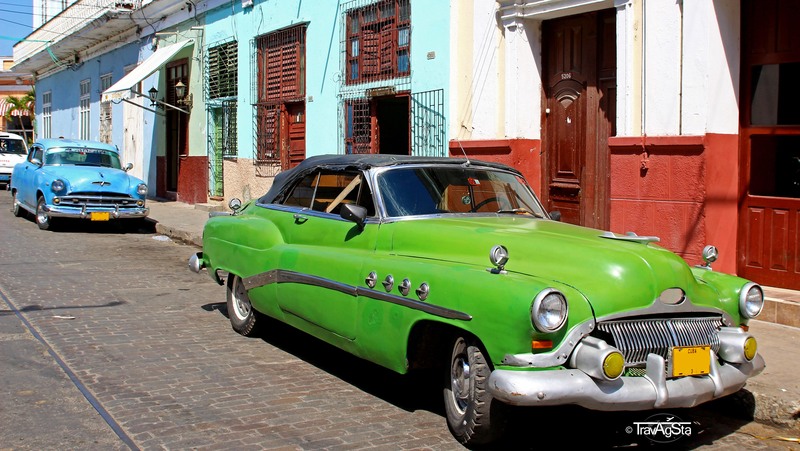 In Cuba, this is just the average age of a car. For Europeans and Americans loving vintage cars, this is paradise. Cubans would love to have just a boring, new Toyota (or whatsoever). This is a perfect symbol for Cuba: Most of the Cubans would love to have new ‘western’ products, but at the same time they are perfect at improvising and just enjoying the moment. There’s a lack of gas at gas stations, but they know a friend who sells illegal gas from Venezuela. They are extremely happy despite the lack of so many day-to-day products. We could definitely learn from them in our over-commercialized world. We crossed the country being cramped in the backseat of the old Mercedes together with two large Slovenian guys. 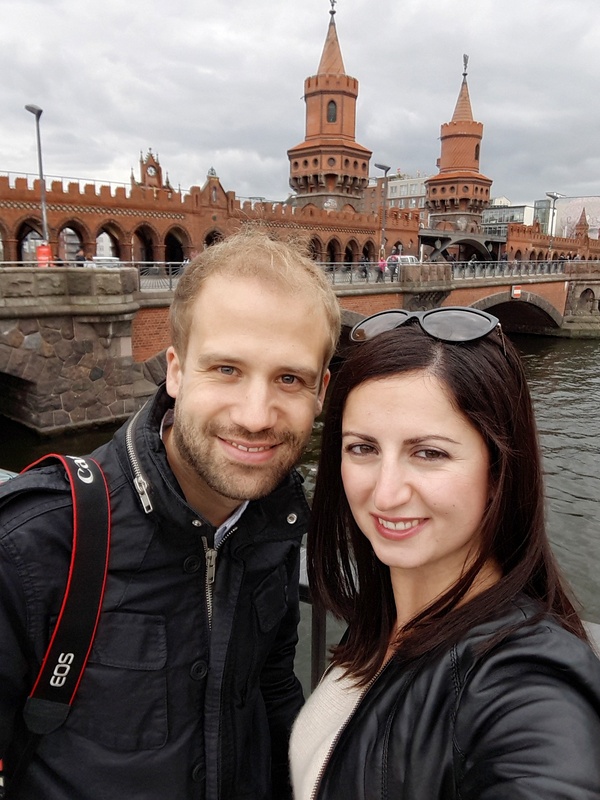 It wasn’t comfortable at all, but we enjoyed it nevertheless because we saw those happy people around us. We made a stop and some locals wanted to sell food to us. We said no, as hygiene was more than questionable. They didn’t care and still looked happy. They just enjoyed the good weather, the stunning landscape and the omnipresent music. Independently from the ‘system’, this is an attitude we could definitely learn from: Being happy with what you have instead of constantly longing for what you don’t have. We don’t want to exaggerate. If you ask the people, they do complain about this and that. Sometimes you can’t even buy water or toilet paper in the supermarket. By the way: Even in fancy restaurants you will sometimes get your toilet paper sheet by sheet (to a maximum of 10 or so), because it is so rare. But at the same time, it seems as if they would know that there is something more important: Just being happy with your family, your friends and having a good time. This basically summed up, what our driver told us why he loves living in Cuba. And this is what we were taking with us from this trip: A lesson for our daily life and a truly travel experience. If you’re interested in Cuba, go and see it! 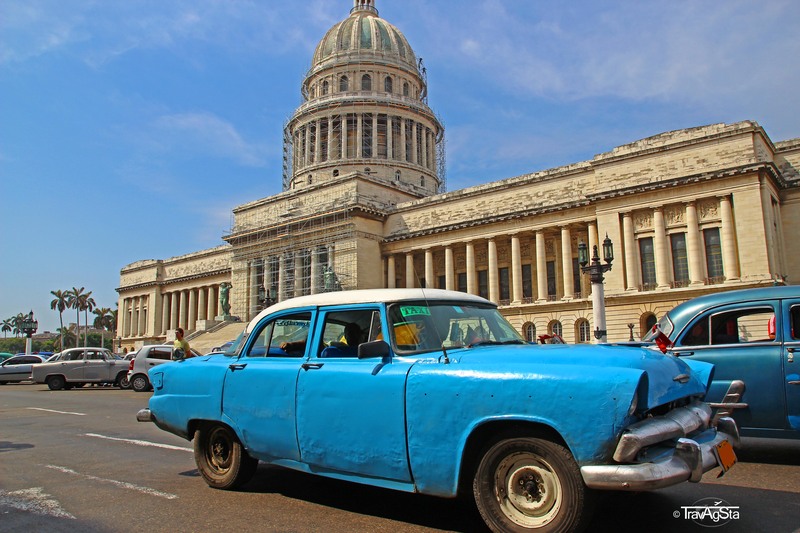 The country is likely to change fundamentally in the next years, so you shouldn’t miss out the ‘original’ Cuba while it lasts!